[02:45] <Logicgate> why does that work? [02:46] <sacarasc> It works because it is one statement. [02:46] <sacarasc> It only takes one -vf string, so you have to chain them. [02:50] <Logicgate> -pix_fmt, will it fail if video is 4:4:4? [08:58] <wizbit> i want clients to be able to stream webcam using ffmpeg to a remote server running ffserver, then the output of ffserver embedded into a webpage using <video> or something like jplayer, is that possible? [09:33] <relaxed> you're version is way out of date. [11:52] <klaxa> mp4 is not made for live-streaming anyway, is it? [12:39] <DelphiWorld> anyone do hls here? [13:00] <DelphiWorld> iimay you be able to help me with a small hls problem? [13:00] <DelphiWorld> iive:   maybe you be able to help me with a small hls problem? [13:01] <DelphiWorld> iive: its not a hls issue but i belieuv its a ts issue, may i explain? [13:07] <DelphiWorld> iive: yeah, but why if i use .mp4 i see the tracks? [13:07] <DelphiWorld> iive: you want a video? [13:07] <iive> no, i can't do anything with it. [13:08] <iive> does mp4 have proper track description, like language? [13:10] <iive> decci: you are not helping. [13:16] <iive> DelphiWorld:  could you put the text output of ffmpeg in some pastebin site. first with output to mp4 and second time with output to hls. [13:16] <DelphiWorld> iive: the entire log? [13:17] <iive> it shouldn't be more than one page. and yes, that is why i'm asking you to paste it to a pastebin website. [13:17] <iive> if it is too much trouble for you, don't bother. [13:18] <DelphiWorld> iive: you want it during encoding? [13:20] <iive> I don't know about hls, but mpeg-ts dvb standard supports language codes. No idea about the libavformat muxer. [13:33] <iive> :s specifies it is about subtitles :a specifies it is (also) about audio and :1 specifies that it is about second stream. [13:34] <iive> but it should have specified at least one of the streams. [13:39] <iive> both text outputs are almost identical. I'm out of ideas. [13:40] <DelphiWorld> after the filename? [13:40] <iive> the position of the options does matter. [13:52] <DelphiWorld> but i dont evean see the tracks listed in client SIDE! [13:53] <iive> as I said, I know nothing of hls. or libavformat muxers. [13:53] <DelphiWorld> any way of getting it live except of hls? [13:53] <iive> i hope somebody here would be able to help you. [13:53] <iive> c_14 seems to know a lot, but he is away atm. probably asleep. [14:35] <dloo> nobody can help me? 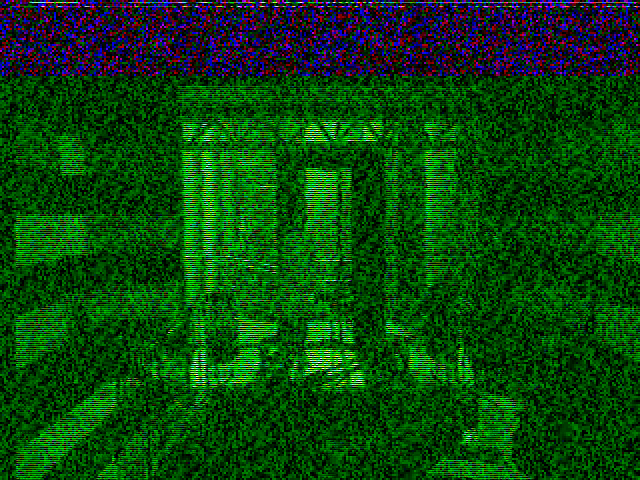 [14:42] <iive> dloo: are you able to view normal image with any other program. [14:42] <iive> dloo: is the channel 1 an composite input, not RF modulated one? [19:43] <pqatsi> About ffserver, its possible to ffserver act just as a streaming relay, w/o re-encoding anything and being just a proxy? [21:38] <Tylertwo> Hey, anyone with experience streaming to twitch? [22:01] <Tylertwo> I'm trying to do so. Using the command "avconv -f x11grab -s 200x200 -r 15 -i :0.0 -c:v libx264 -pre fast -pix_fmt yuv420p -s 640x480 -threads 0 -f flv "rtmp://live.twitch.tv/app/live_<myPrivateKey>"" I get the error from twitch that "Audio codec must be set to MP3 or AAC (it is currently "unknown")". Any idea about fixing this? [22:02] <c_14> This channel, however, does not provide support for avconv. [23:06] <dloo> why this [harold at 855a-0d8d-2-53-k8vsed ~]$ ffmpeg -t 00:00:01 -f alsa -i hw:0,1 -f v4l2 -channel 1 -i /dev/video0 -standard 3 -vcodec libx264 -b 2500k -acodec copy  /run/media/harold/52F82754F827361F/k7/le_college_c_est_pas_sorcier.mkv  does not stop the record after 1 sec? [23:26] <c_14> what exactly are you trying to do? [23:45] <c_14> Why are you assuming that the video should have the same aspect ratio after cropping? Unless the bars are equidistant on all sides.